Typically, a donut in its natural state is enough for me - especially if its glazed or frosted! Then I started to think about what else I could donut-ify. And it hit me - ICE CREAM! 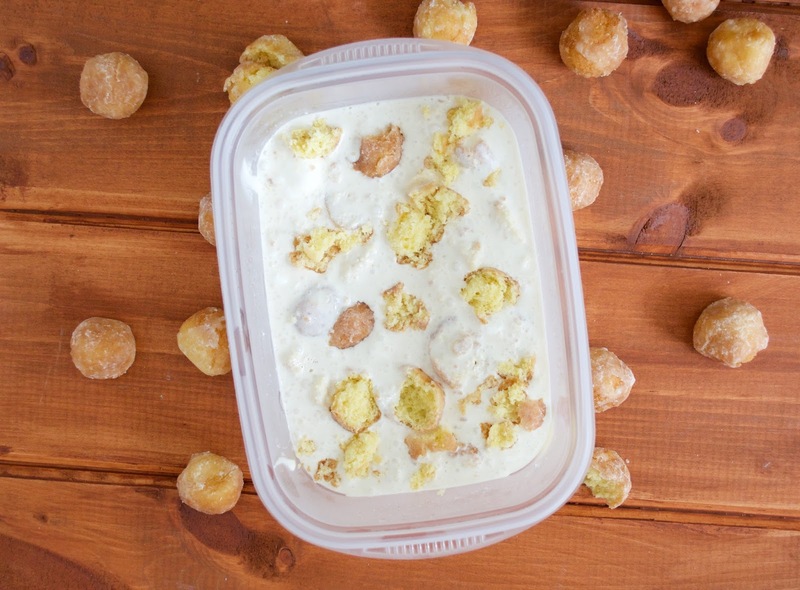 Needless to say, it didn't take long for me to come up with this no-churn ice cream recipe. 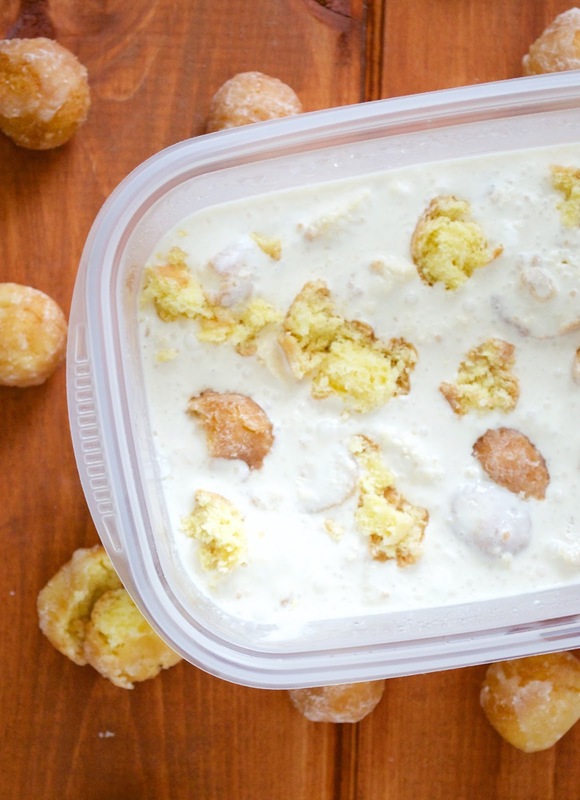 It's pretty simple with its sweetened condensed milk and Cool Whip base. 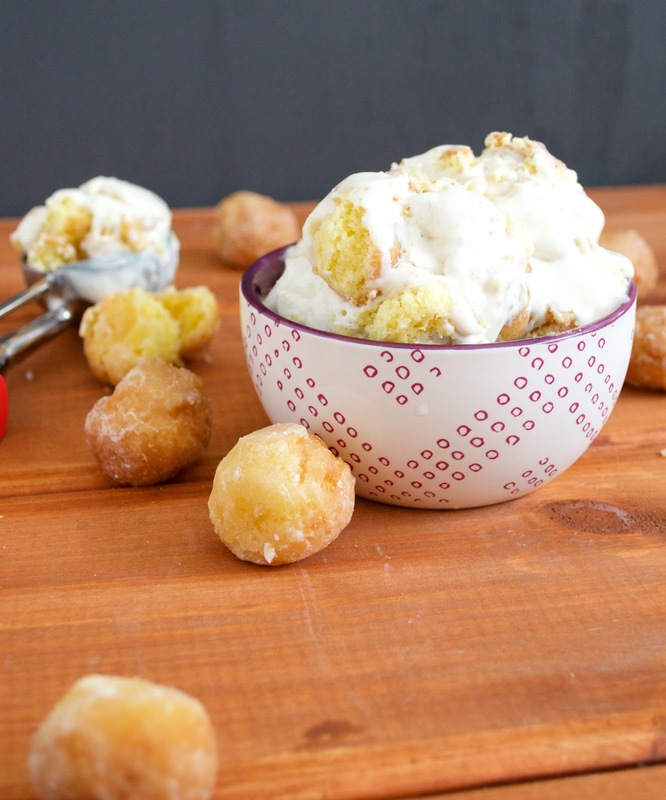 Then you just mix a bunch of glazed donut holes into it and VOILA! 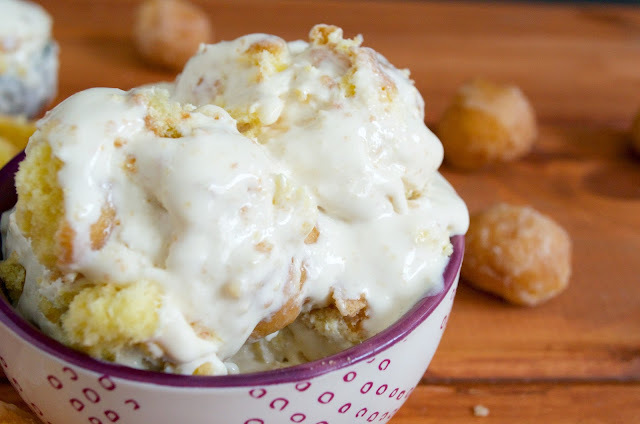 DONUT ICE CREAM! I don't think I need any new ways to shove donuts into my face but I also won't turn any down. I mean, what kind of monster do you think I am? 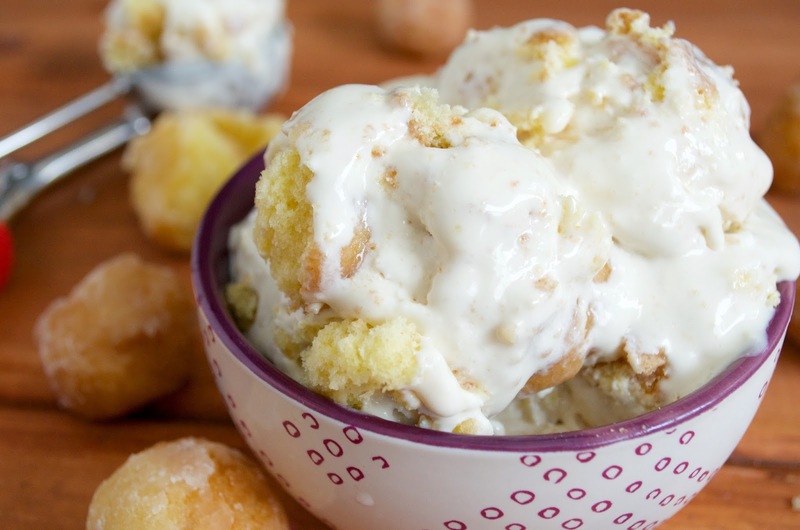 Anyway, there are only a few donut concoctions out there that are questionable (glazed donut cheeseburger or glazed donut vodka anyone?) 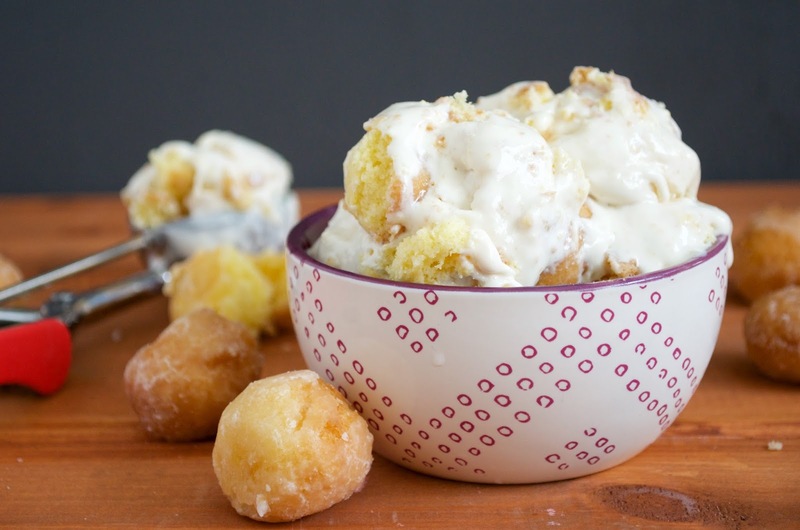 but glazed donut ice cream is surely not one of them! 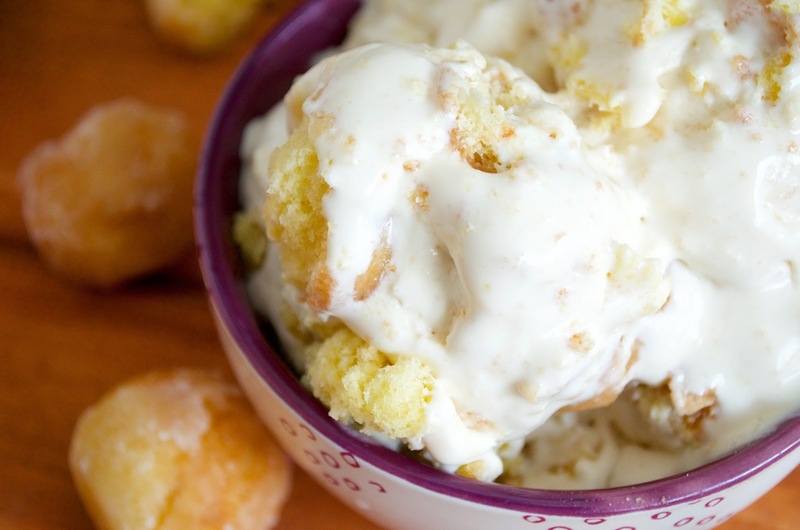 This ice cream is a sugar overload and is so full of donuts, glaze, and vanilla perfection. 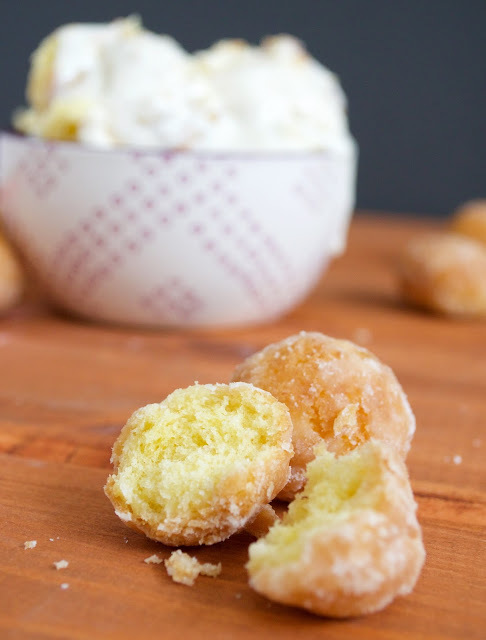 It is sure to satisfy your sweet tooth - or, if you're like me, your donut tooth. Oh, by the way, if you know of a donut covered dress, hit me up. We gotta talk, girl. In a food processor, coarsely crush up 16-18 donut holes, being careful not to over-crush - you still want some good sized chunks! Pinned instantly. Oh my word does that look incredible! 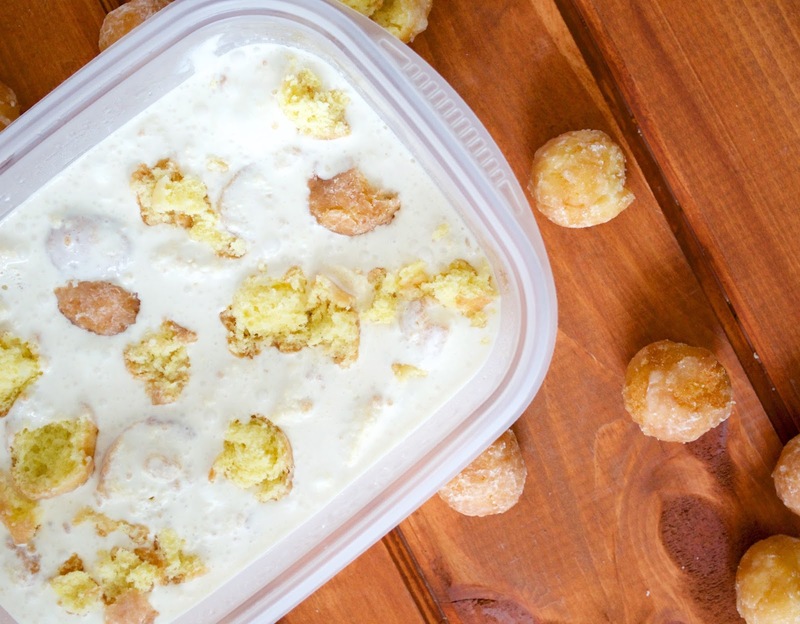 I might just have to think my b-day dessert plans for next week now... :) Thank you very much for the lip-lickingly awesome share, dear Sara. Oh my gosh! This is unreal! I want this sooooo badly. Nom nom, the photos are drool worthy.